OK, so the weather this year has been shocking, but whilst the continued rain may not appeal to us, it seems to be keeping the veg happy. Slightly concerned about the potatoes and onions simply rotting away, but the other veg appears to be doing well. Have just snapped open the first pea pod – the peas are the sweetest imaginable (taste reminiscent of fresh unsalted peanuts when you break them out of their shells). Gorgeous. 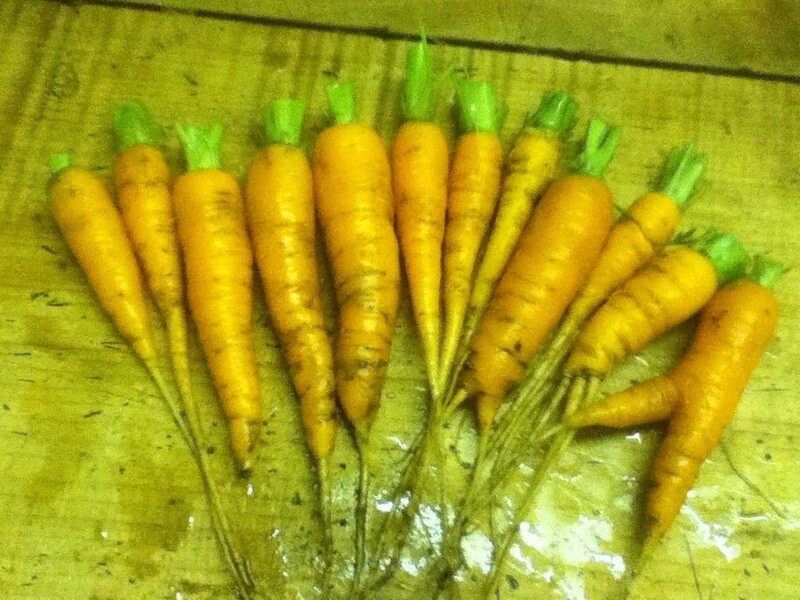 Yesterday, we had the first of our baby carrots – also sweet and delicious. With only a few feet from garden to kitchen, and only a few minutes from ground to plate, you can really taste the difference between home-grown and shop bought.